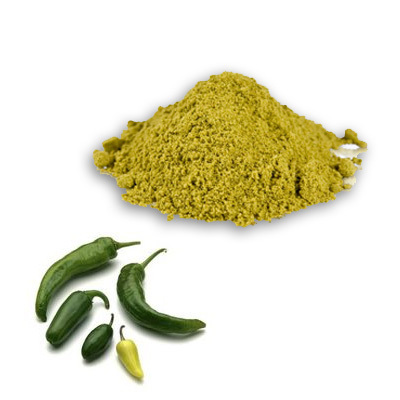 Original jalapeno powder. 100% pure ground jalapenos. Watch out it's hot and it's addicting! The jalapeno is probably this countrys most widely recognized and used chile. Use jalapeno powder blended in your corn bread, chili, salsa, sauces, spice blends, stews and taco meat or sprinkle over chicken, eggs, pork chops, popcorn or vegetables. Bartenders use ground jalapenos as a secret ingredient for a Bloody Mary.